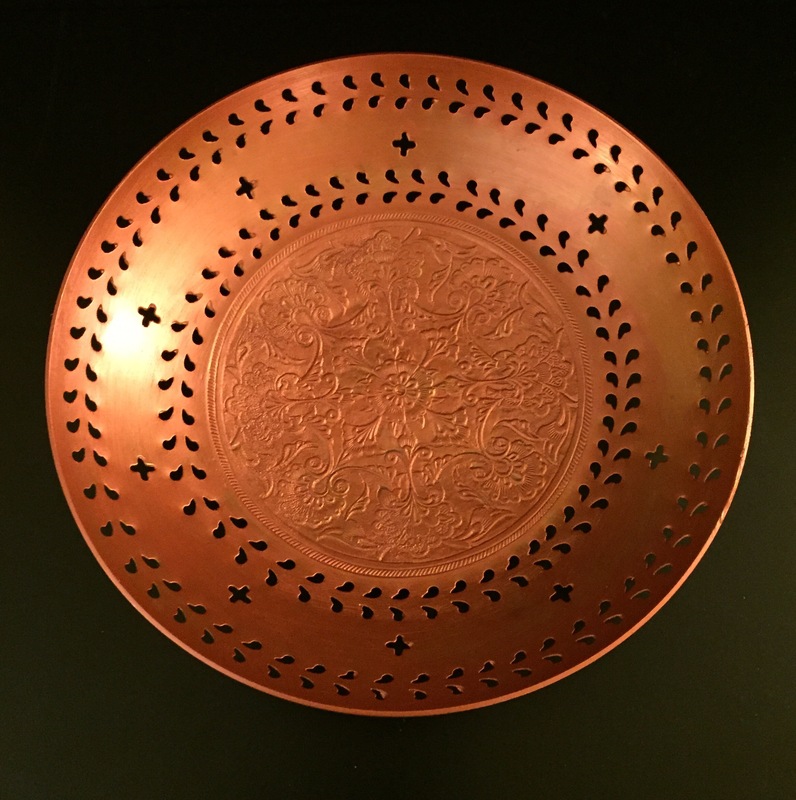 Copper is making a big comeback in the field of home decor. I always have a soft corner for all things copper, It’s beautiful earthy tone adds a classy touch to your decor. But things made of original copper are kind of expensive. 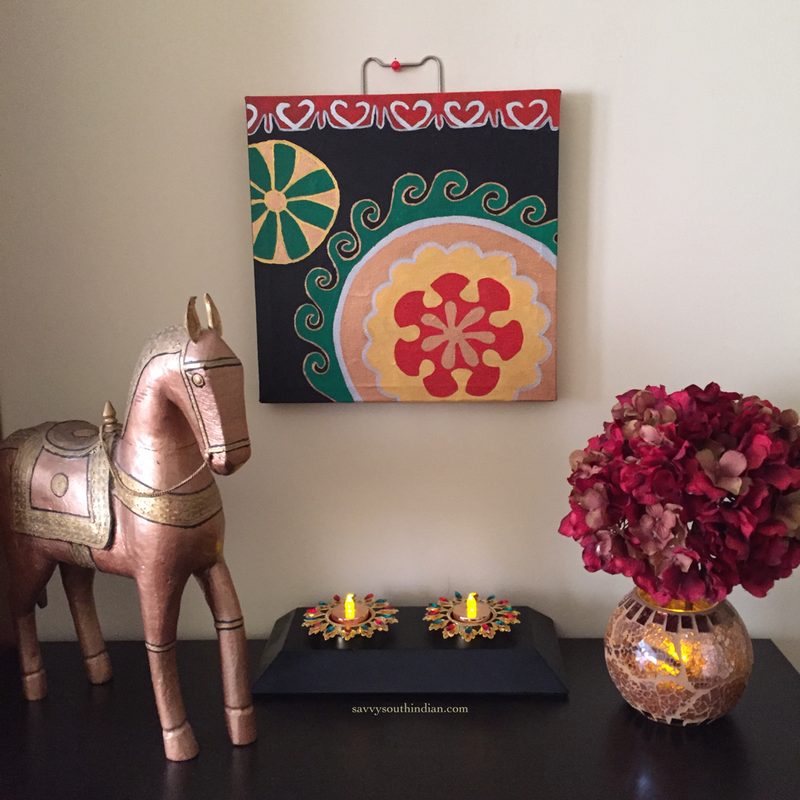 Let me show you an easy way to get the same classy look for a fraction of the cost. 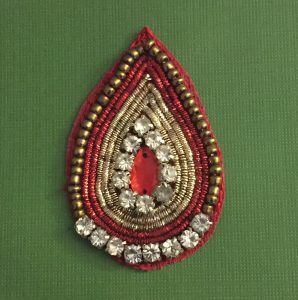 I am sharing some of my copper projects to inspire you all. Are you ready to take a journey to the land of iridescent copper ? 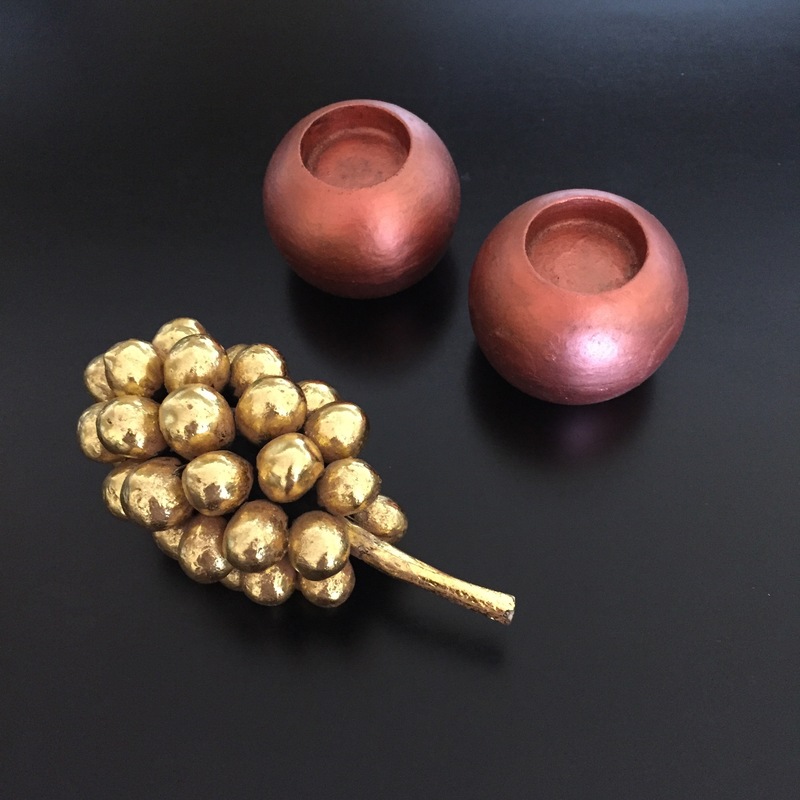 You will be amazed how a tiny touch of metallic paint can completely change the look of a basic object . 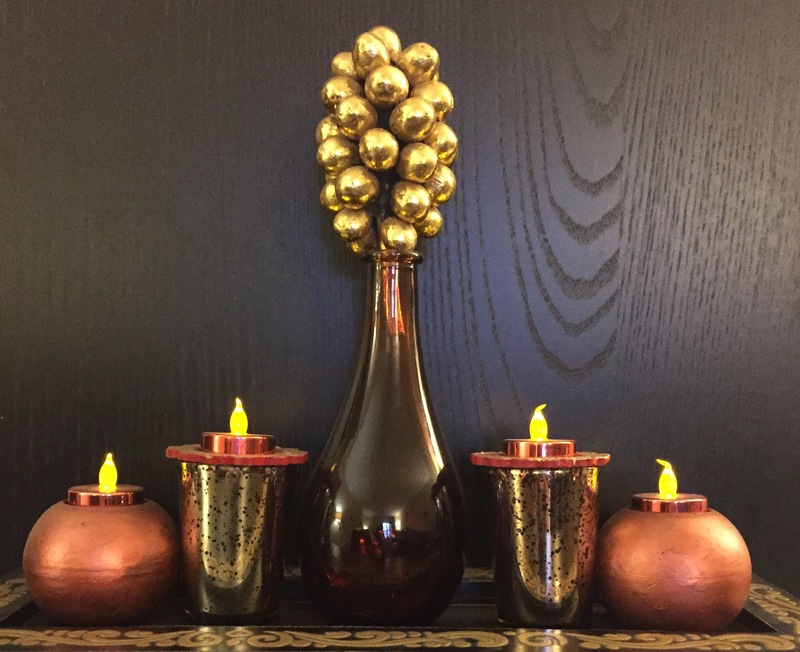 Instead of using the flowers I have painted the wooden grapes in gold and used it in the vase and painted the two votive holders in copper which was just brown in color and added two of these mercury glasses to create a unique vignette. This used to be a plain old terracotta pot. 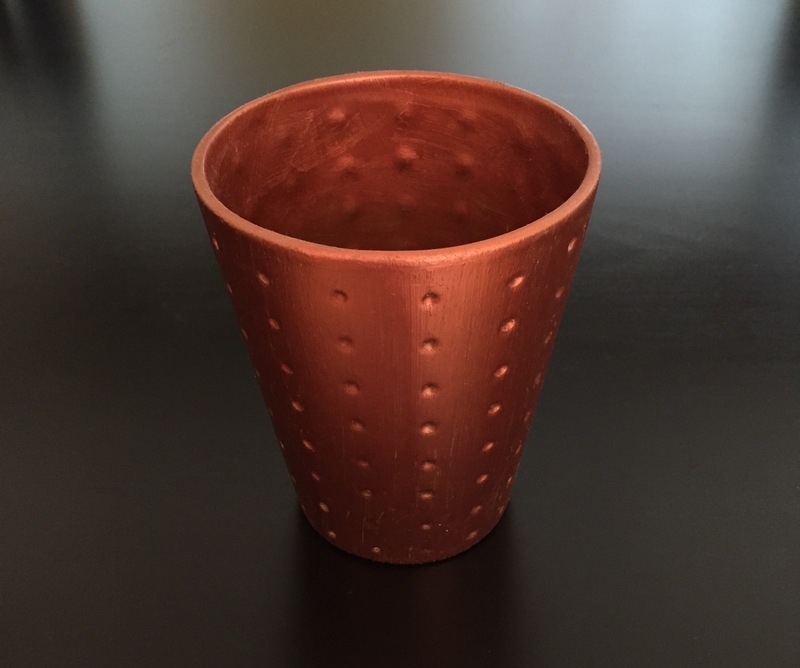 A tiny coat of copper makes it looks so nice. 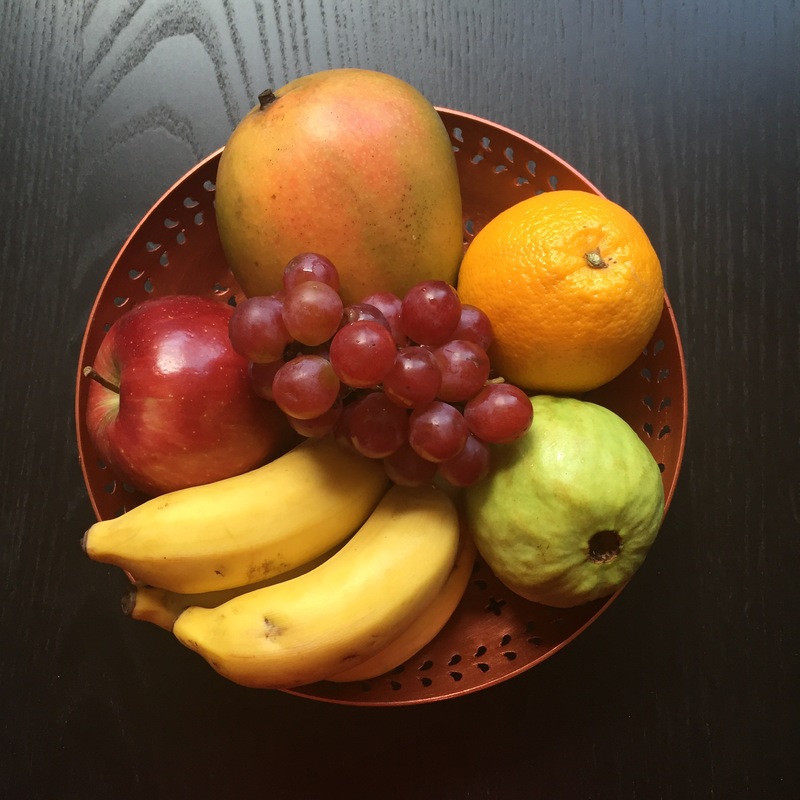 This brass fruit bowl was looking so dull after using it for many years. I decided to paint it copper, now look how beautiful it is with the fruits in it. 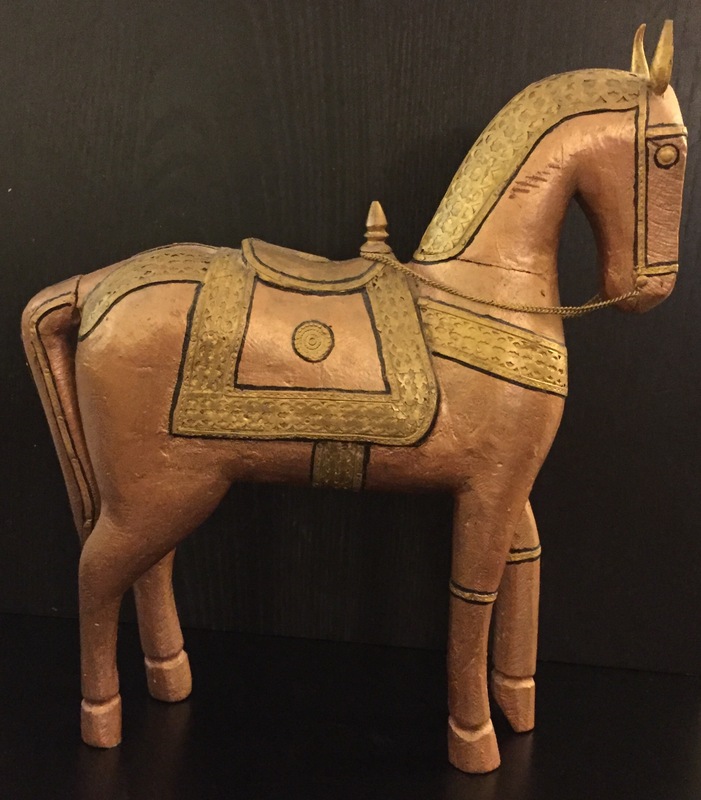 This used to be a plain brown wooden horse, I painted it in an iridescent copper and hilighted the saddle in gold now it’s truly an art piece. 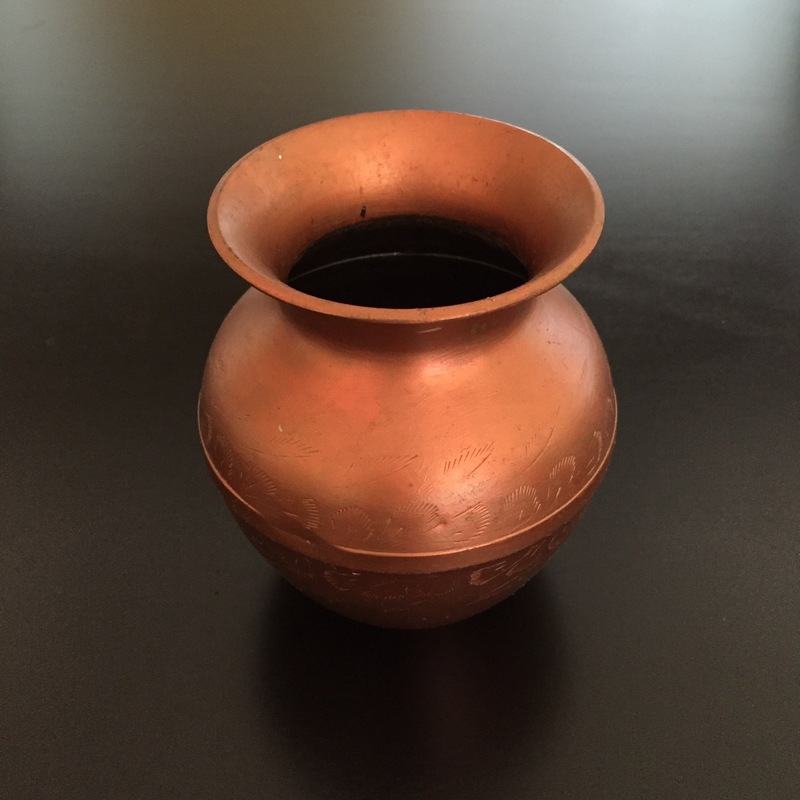 This was a plain old vase, I changed it to copper to go with the theme of the decor. 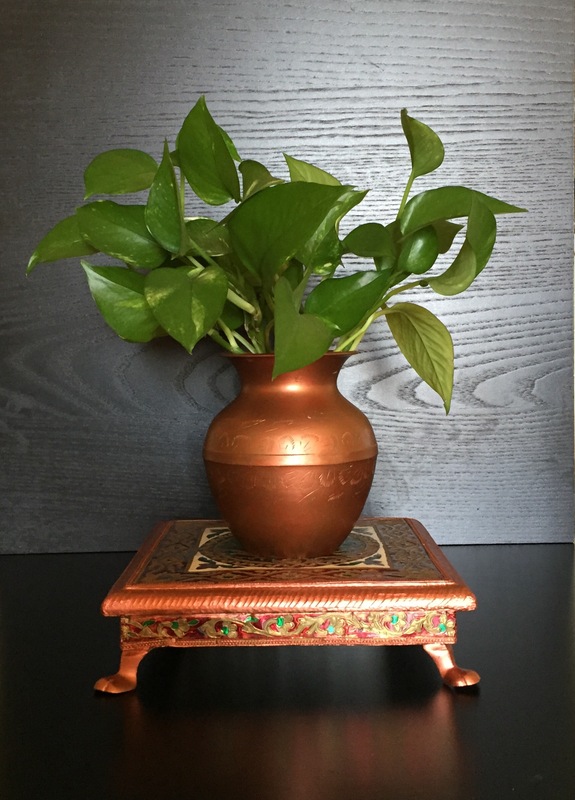 Now the lush green money plant looks so good in this copper vase. 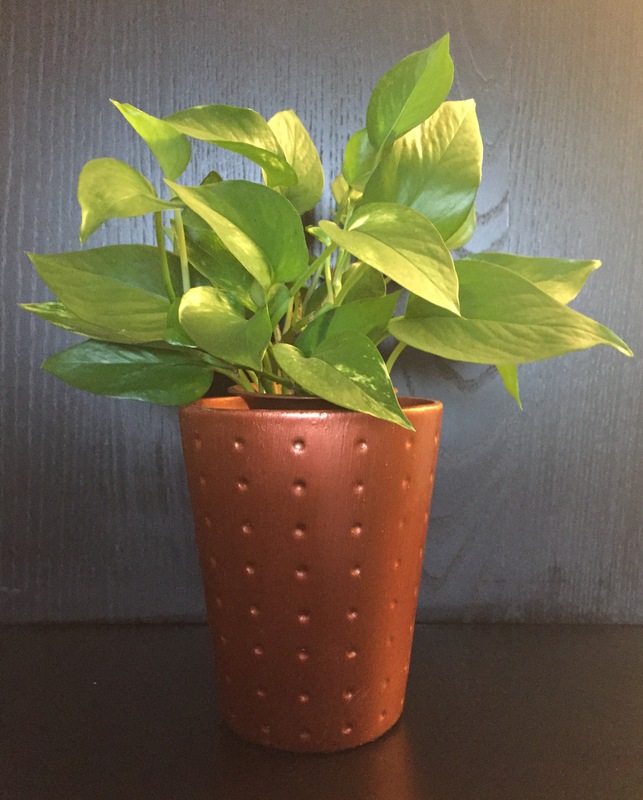 This plant stand was made in brass . 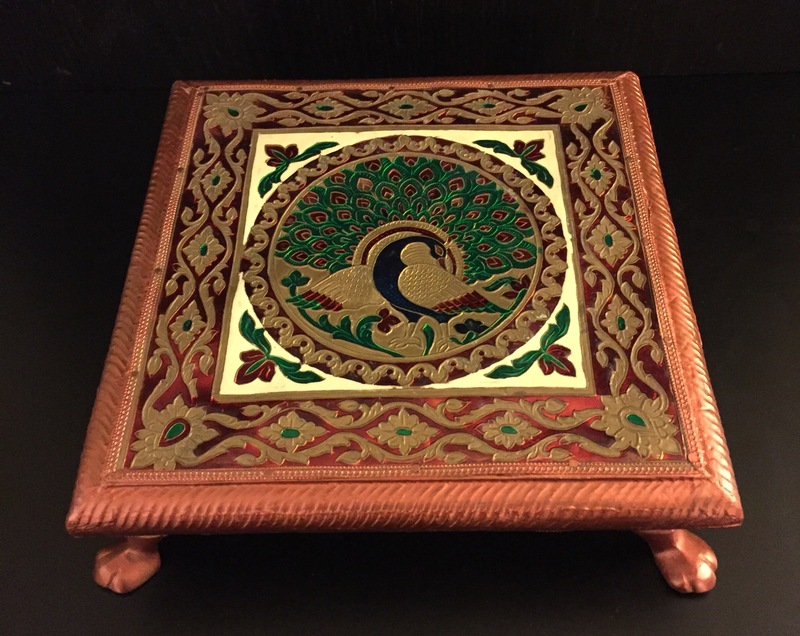 It was tarnished no matter how much I polished it didn’t get the new look so I painted the border and the legs in copper now the beautiful design just pops. 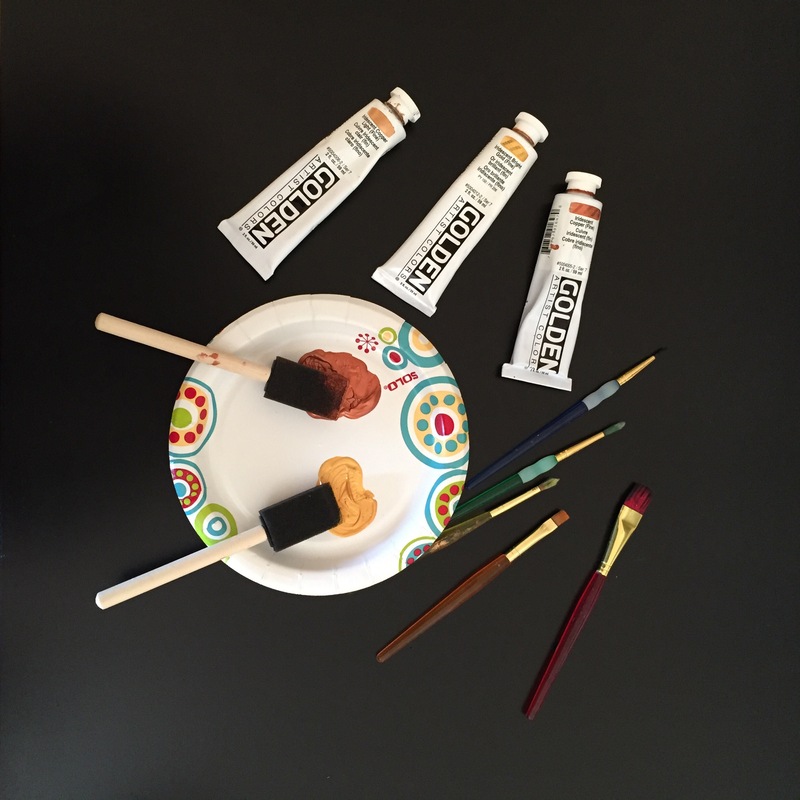 I have used Golden Artist colors – acrylic metallic paints. The best thing about this is , it literally sticks to any material like glass , metal, wood and plastic and its water proof . Paint just one coat and let it dry completely. It is so thick you don’t even need a second coat. Do not use thinners, use it just the way it is. These sponge brushes are great for projects like this. It covers large areas without showing streaks. Use fine tip brushes to paint around finer details. 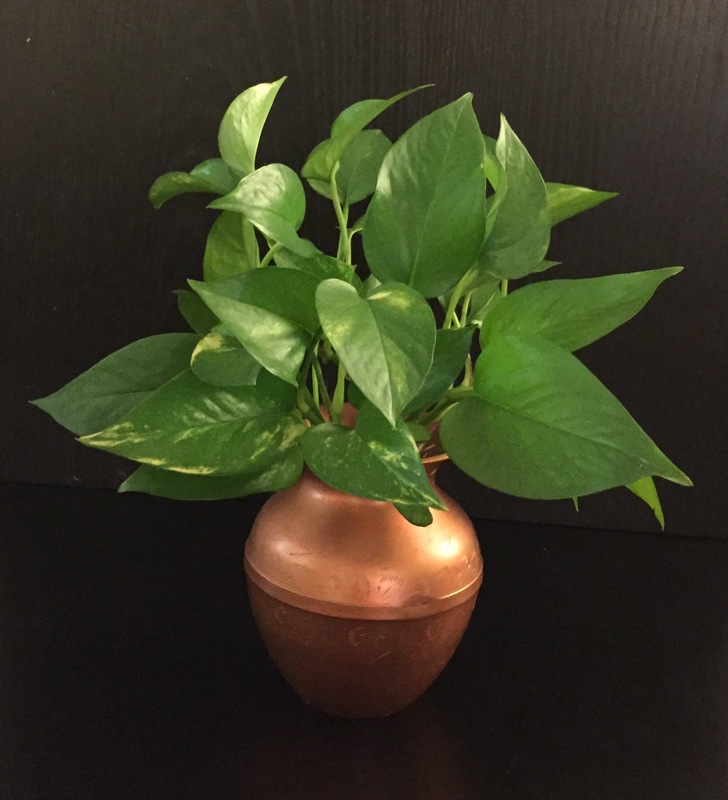 Hope you never throw out anything just because it looks old, turn them into copper or gold with your Midas Touch 🙂 This is such an easy and inexpensive DIY. All you need is the right materials, creativity and lots of patience.